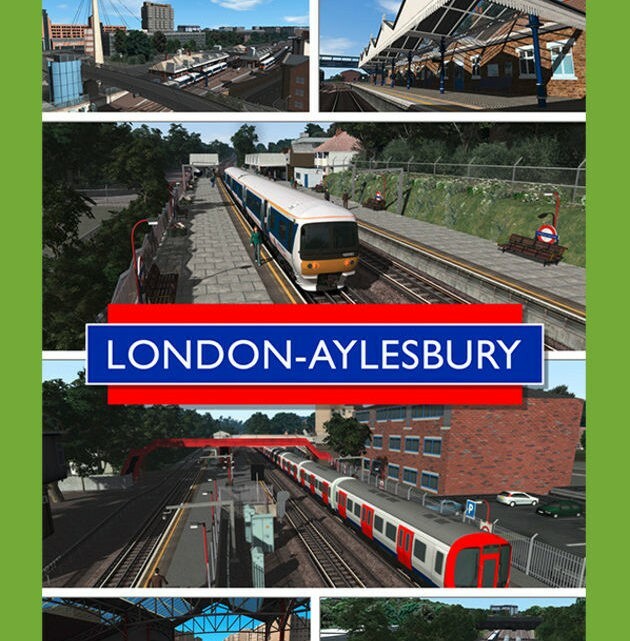 THIS VERSION OF THE LONDON-AYLESBURY ROUTE IS FOR TRAIN SIMULATOR USERS WHO DO NOT HAVE THE JUST TRAINS CHILTERN MAIN LINE LONDON-BIRMINGHAM ROUTE INSTALLED. IF YOU DO HAVE CHILTERN MAIN LINE INSTALLED, YOU NEED THIS VERSION OF LONDON-AYLESBURY. 41 stations are included, including two on the Princes Risborough-Aylesbury branch line, and numerous new custom assets. The route is Quick Drive enabled and comes with 15 Standard scenarios that allow you to drive Chiltern services on the same rails as the Metropolitan Line, to drive the now-retired Class 121 ‘Bubble Cars’* on the Aylesbury-Princes Risborough branch line and also to drive 5MT and V2 steam loco’s on the Metropolitan Line. London Underground – part of the London-Aylesbury route runs beside the Jubilee and Metropolitan London Underground (LU) lines between Finchley Road and Neasden LU stations, with the Metropolitan running all the way up to Amersham. You can see the typical LU cabling that runs along the side of the third rail tracks. Also included is LU S8 stock that is designed to be used as AI (Artificial Intelligence) stock; the S8 can be driven via the default [F4] HUD controls but it has no cab, passenger views or visible interior from the external view. Chesham spur – allows access to and from the line to Chesham for the Metropolitan line. It can only be entered heading north and exited going south. Amersham signal box – a rather ‘interesting’ building! End of the line – this is currently the end of the London-Aylesbury line. In the real world the line continues northwards but is only used by freight trains, mainly going to and from the Calvert landfill site. Train Simulator 2019If you purchased Train Simulator after 20th September 2012 you will require the European Loco & Asset Pack (available to purchase via Steam) for the route to display correctly.